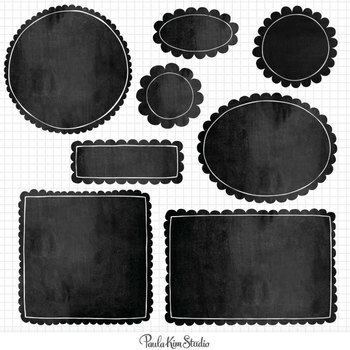 I have created this assortment of useful chalkboard border shapes so you will always have a chalkboard frame that fits into any layout format. Image sizes vary, on average are 1000x1500 pixels. 300dpi - High quality images, they print beautifully! png images - transparent backgrounds with crisp and clean edges for easy layering.